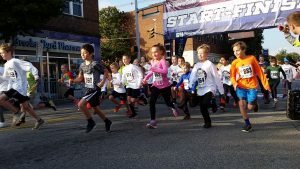 Top: Approximately 50 kids ran in the Inaugural City of Salem Kids Fun Run held in conjunction with the City of Salem’s first half-marathon and 8k. It was a FUN event for the kids and our staff. We are proud to sponsor a community event that highlighted the importance of exercise for our youth. Thanks to the City of Salem Parks and Recreation for organizing a great event. 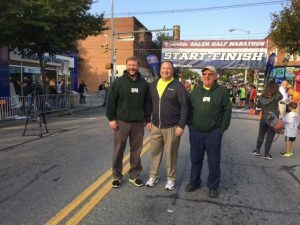 Above: G&H President Sheldon Henderson and Vice President Troy Henderson take a pre-race photo with City of Salem Councilman James Martin who was just one of Salem’s council members that gave out medals to race finishers.